The mission of the Constituent Advisory Committee (CAC) of the University Center for Excellence in Developmental Disabilities (UCEDD) at the Waisman Center is to ascertain and represent the interests of people served and affected by UCEDD programs and consult with the Director of the UCEDD regarding the development and ongoing review of the 5 year plan. The name of the committee shall be The Waisman Center, University Center for Excellence in Developmental Disabilities (UCEDD), Constituent Advisory Committee, hereafter referred to as the CAC. 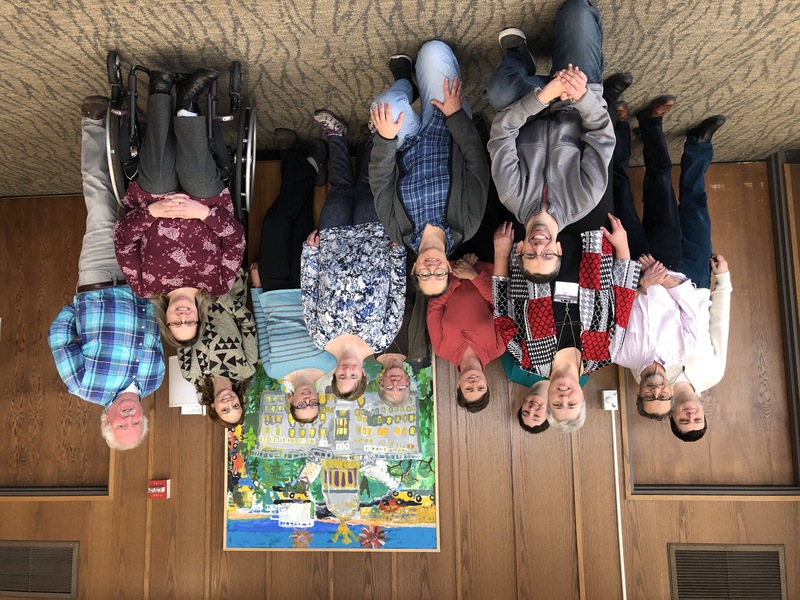 The Waisman Center University Center for Excellence in Developmental Disabilities (UCEDD) is part of a national network of UCEDDs sponsored by the Administration on Intellectual and Developmental Disabilities, U.S. Department of Health and Human Services. The mission of the UCEDD is to support the full inclusion and self-determination of people with developmental disabilities and their families. The purpose of the CAC is to advise the UCEDD’s Director in a manner that support the UCEDD in meeting its responsibilities in accordance with the Developmental Disabilities Assistance and Bill of Rights Act of 2000. Roles and Responsibilities of the Constituent Advisory Committee. Consults with the UCEDD’s Director regarding the development of the UCEDD’s five (5) year plan. Reviews and comments annually on the UCEDD’s progress in meeting the projected goals contained in the five (5) year plan. Makes recommendations to the UCEDD’s Director regarding any proposed revisions of the five (5) year plan. Meets, as necessary, to carry out the role of the CAC, but at least twice a year. Develops an overall understanding of the UCEDD and its work. Supports and contributes to the development, review and dissemination activities of the UCEDD including, but not limited to products, publications and research findings. Advises and informs the UCEDD’s Director regarding other relevant organizations, programs, networks or activities that may provide opportunities for Center collaboration. Members must have a commitment to be actively involved in the performance of the required activities listed in the roles and responsibilities of the CAC (Article II, Section 3). A majority of the members shall be individuals with developmental disabilities or related disabilities, or family members of such individuals. Appropriate individual accommodation shall be provided, as requested, to assure access to and participation of all CAC members. Individuals with developmental disabilities or related disabilities who have knowledge of, or had a relationship with services or programs of the Waisman Center UCEDD. Family members of individuals with developmental disabilities who have knowledge of, or had a relationship with services or programs of the Waisman Center UCEDD. A parent and/or self-advocate trainee representative from the WI LEND program, during their active training year. Other community members interested in supporting the UCEDD and its work. B. The UCEDD will strive to have a CAC which reflects the racial, ethnic and geographic diversity of the state of Wisconsin. C. Members of the CAC are appointed by the UCEDD Director after recommendation by the Nominations Committee. The CAC will have a minimum membership of 12 people, not to exceed 20 members. Members’ length of service shall be set at three (3) years with the option of leaving at the end of that time or continuing for an additional three (3) year cycle. A request for service beyond two (2) terms will be reviewed by the Nominations Committee, and recommendations made to the director. The standing Nominations Committee will recommend new members and advise the UCEDD Director on membership. All members of the CAC are appointed by the UCEDD Director. A. The operating year for the CAC shall coincide with the UCEDD Core grant year of July 1 through June 30. A. The CAC shall meet at least twice a year. Members are expected to attend all meetings. If a member misses two consecutive meetings, she/he may be asked to step off the CAC and his/her name may be removed from the list of members. Additional meetings may be called by the UCEDD Director or CAC Coordinator in consultation with the Chair. C. The CAC will make decisions/recommendations to the UCEDD Director through consensus, recognizing that the Chair may utilize alternative decision making strategies including, as necessary, calling for a majority vote. A. Members shall be eligible to receive a stipend to assist with costs to attend. B. The CAC Chair shall be eligible to receive an honorarium given in three payments over the course of the year. Cost of registration, travel, hotel and meal costs for attending the annual AUCD conference as the COCA representative will be covered at the discretion of the UCEDD Director. a. Preparing meeting agendas with the CAC Coordinator. b. Representing the UCEDD on the Association of University Centers on Disabilities (AUCD) Consumer Council (COCA). c. Contacting members regarding meeting reminders, distribution of agendas and minutes, and updating member contact information. d. Presiding at all meetings of the CAC. e. Appointing members to all of the standing and ad hoc committees of the CAC. a. Preparing meeting agendas with the CAC Chair. b. Preparing minutes of the meeting. c. Arranging for meeting dates, locations and technical/logistical needs. d. Serving as liaison between the CAC and the UCEDD, and therefore not a voting member of the CAC. e. Reviewing annually the CAC website and committee materials, and making recommendations to the Director regarding revisions or updates. g. Supporting the work of the ad hoc committee(s) as needed. A. The Nominations Committee is a standing committee whose charge is to search out and recommend to the UCEDD Director new members that reflect the diversity of the state and who meet membership requirements. They will also review and make recommendations on the re-appointment of members who wish to serve a second term. B. Ad hoc committees will be identified as needed by the CAC, appointed by the Chair, and given a specific charge. C. CAC members are encouraged to serve on other UCEDD committees; for example, UCEDD specific advisory boards. A. Amendments to these bylaws shall require an affirmative majority vote of attending CAC members. This curriculum is intended to provide UCEDDs with resources that will assist in the orientation of members of their CAC. The curriculum is meant for use by a CAC leader and/or UCEDD staff/Director to employ with potential, new, or existing CAC members as a way to introduce them to their role in advising the UCEDD. The curriculum consists of 5 modules, each containing slides and an instructor’s manual, along with a number of useful appendices. The curriculum has been deliberately designed to be customizable by each UCEDD. Information and materials from the CAC Orientation Webinar on September 29, 2009.